Congratulations Courtney Stifle! I'm SO excited for you, and I will be in touch soon! I am SO excited about today's post. Over the past year, we've used some really wonderful baby products and worked with some really great companies thanks to this blog and Instagram, and today I wanted to share the love and do a fun giveaway highlighting some of these awesome items. So, in celebration of Charlie's birthday month, today we have a HUGE giveaway, full of Charlie's (and my!) most well-loved, favorite things. CRAZY, right? This giveaway is open to US residents only and you can enter using the widget below. There's one simple way to enter by leaving a comment, and then a bunch of other options too. 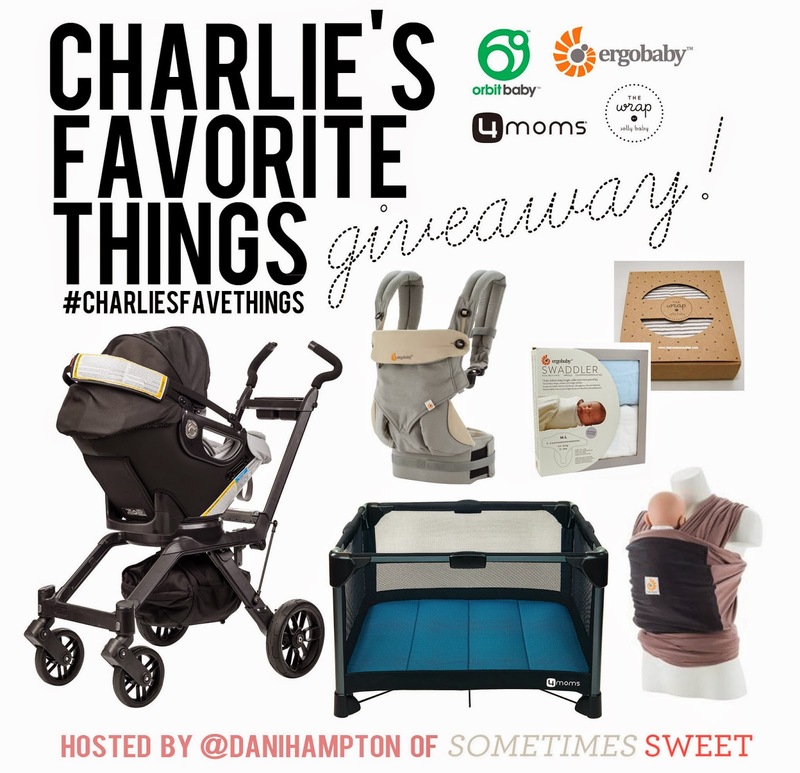 The giveaway is primarily on the blog, but there is an option to repost the giveaway photo above on Instagram with the #charliesfavethings hashtag, and you can find that on my IG account @danihampton (this is all explained via the widget too). I'll be back next week with part two of this giveaway- it's another great one and includes some of our favorite shops for awesome boys' clothing and accessories. Would love to win some new gear for our one month old. All our stuff is hand-me-downs from our older kiddos and it's falling apart! I would love to win - due in November with our second daughter and all of this stuff would be great to have for the new baby. We would love to win because Charlie is one cool little kid, so having a bunch of his favorite baby items would be a dream come true! I would love to get these as a surprise for my good friend who is expecting her first baby! This giveaway is incredible! :) I love this! I'll be crossing all my fingers and toes. so incredibly generous! would love to win this for my baby niece thats due in december. she was long awaited and this would make everything seem more real for my sister. I would love to win for my new baby due in December. All of my baby stuff is from my oldest son who is 5 now, so I could really use some fresh goodies for my new little baby girl. Happy Birthday Charlie! I'm expecting my first baby in October and could definitely use ALL of this!! These are all my favorite rings that I have been coveting! Hope I win!!! I would love to win because my first little one is coming in 10 weeks! I need stuff! Ooo this is a wonderful giveaway! My little jack would love all these things! Would love to win!! First time mom, due this January!! Oooh! I am expecting my first baby any day now! What an awesome giveaway! What a great giveaway! Would be honored to win!! I'm expecting my 2 little boy in October and this would be perfect! Thanks for the chance..btw your boys are the cutest! Danielle!! This giveaway is so incredibly dreamy! It is been such a joy watching you bloom so beautifully in your journey through motherhood. Makes me so anxious to have our first little boy this October. Winning all of this would be a dream come true! Fingers crossed! I am due with my third babe in January, and all of these items would be helpful for me to be hands free with baby and play with the older ones too! What a fun giveaway! Happy birthday month Charlie! This is amazing! All things I have looked at for baby number four. Most of our things need a major upgrade over the years, and this would be perfect! this giveaway is a dream! all thing I would love to have for my second baby due in Feb! I'd love to win because new baby #3 doesn't have any goodies!! Danielle! This giveaway is so incredibly dreamy! It's been such a joy watching you bloom in your journey through motherhood. Makes me so anxious to have our first little boy this October! It would be an absolute dream come true to win all of this amazing gear. Fingers crossed! I am due this spring with my first child. I am so overwhelmed with all of the things you need for a little one. I would love to win these for baby #2! I would LOVE to win this. I've been lusting after that car seat for an embarrassingly long time. Such a great giveaway! Also, can't believe your sweet babe will be 1! Been eyeing these goodies and would love to use them with our son and any future babes :) happy birthday month, Charlie! This is an awesome giveaway and would love to win this for my babygirl! She would love all these things! Thank you for the opportunity! This is such a dream giveaway!! I would use everything on this list :-) We recently added baby #2 to our family and hope to add baby #3 very soon! My best friend just found out that she's expecting her first baby this fall, I would love to win this for her as baby gear is so expensive & this would be such a dream. Our third is three months old and we would love some new gear! How amazing! This is so awesome! Happy birthday sweet Charlie boy! I'm pregnant with my first and due Sept. 25th. It's a girl!!! Can't wait...! What an amazing giveaway!! Thank you for such an amazing opportunity to win for out little girl :) Such wonderful companies with baby gear, you really help a mommy out! pregnant with number 2, could definitely use all of this! I would love to win this giveaway not for me (we have all the gear for my dd who is now 15 months), but for my sister who is trying desperately hard to get pregnant with her first. I know this lot would be an extreme blessing for them! My family would love to win Charlie's favorite things! I could really use some new things for baby number 2 due in Feb. My first is now nearly 5, so I could use a refresh! How incredibly awesome is this giveaway? ?!!! Thanks so much for hosting this giveaway. These products are out of this world! ! Holy cow Danielle what a sweet giveaway! I'm 2 months pregnant with my first and would love this! This is one seriously insane giveaway! Heart Eyes! Please please please due in match with my first! This would be perfect. This would be perfect for our growing family!!! Oh my gosh this is freaking fabulous! Keeping ALL body parts crossed that we are lucky enough to win some of that handsome boy's favorite things!! I'd love that pack n play!! What a great giveaway, thanks Dani! Fabulous! Pick me, pick me! I've been eyeing that playpen for months. Happy almost birthday Charlie! I would love to win :) My son Charlie would love these things too! This is amazing! I would love to win this for future babies! That Ergo 360 looks so awesome!! With a baby on the way, this would take the burden of shopping for these things off my shoulders! What a great giveaway! I have a 4 week old (boy) and we most definitely need these! I just found out that I am pregnant! It's my first pregnancy and I have absolutely NO idea what kind of things I need! This would be the best thing ever, because I know they come highly recommended! The 4moms breeze playard would be perfect for my growing 4-month old. Thanks for the giveaway. Baby Max and I would be lucky to win!! We are connected at the hip days/nights/naps the Ergobaby would make Max wearing so lovely. I've been wanting to try the Orbit stroller/car seat, winning it all would be awesome!! With a new babe on the way, this would be a dream!!! All of my favorite things, yay Oprah!!! I would love to win these awesome products because I know there is no way I can afford to get them. I've been begging dh for the past 2 years. Very generous of you to do this giveaway! my family would love to win all of Charlie's favorite things!! Would love to win this for my second son! my first baby is coming in october and i LOVE all of these things! What an amazing give away! My little two month old Hnery would love some new stuff (and so would I!) He has all hand me downs from his big brother Jon. This would make our year to win this give away!!! Aww what a sweet thing this would be for our baby #1! Happy birthday month Charlie! I would absolutely love to win this giveaway...it would be a huge blessing! My husband and I just had our first baby in April...our sweet little girl Hope. My husband is currently awaiting a kidney transplant.winning this giveaway would be awesome to have some of the baby hear we've dreamt of buying. We're expecting baby #3 so all of these things would be awesome to win! I would love to win this for my sister, who is expecting her first child, a boy, this December. She calls him Charlie! HB Charlie! We love this giveaway!! I would love to win this giveaway! I just gave birth to my first child, a boy, 3 months ago. All of these things would really come in handy! We would love to win these!! This would be amazing! We're expecting our second and we could use some updated things! I'd love to win so I can be more than prepared for my first baby due in Jan! This would help tons! What an amazing giveaway!!! I have baby number 2 on the way and this would just be amazing to win! We are saving up for a house and to win all of these amazing goodies would help us immensely!! ACK! I want to win!!!!! My husband and I are trying for baby #1 and this would be a great way to start him or her off right! I would love to win this giveaway because my baby girl needs this awesome baby gear!! I would love to win all this awesome stuff for my 8 month old daughter. All of these products are amazing and I'd love to try them out! Totally hope I win! My husband is leaving for US Navy bootcamp next month and were going to try for another baby and literally going to start on his graduation night after not seeing him for 2 months. This would help us out so much! I would love to win this for our sweet baby boy! Oh wow this would be fantastic! I would love to win because all these products look awesome and any mom would love to have them. I especially love the 4moms breeze because I have a severe shoulder injury and this would be usable with one arm! Due with baby number two and would love to win! Would love to win, this would be such a fantastic gift! You are so generous to always be doing these giveaways! We are due on Valentines Day and all of this stuff would be so amazing to have! Good luck to all of us Mommies that have entered! Would love to win this! Baby #2 needs it all! Great giveaway! Heard great reviews on all these products and would love to win them for my son! This may out us a bit early in the baby department, but it's just too good to pass up! I've become a religious reader of your blog these last few months. Thanks so much for your invaluable insights - and for organizing this amazing giveaway! You are so generous to be doing these giveaways! We are due on Valentines Day and all of this stuff would be amazing to have! Good luck to all of us Mommies that have entered! I would love to win because we're expecting our first in January and have NO idea what to buy! Bebe Behr...due in 6 weeks! Would love these fave things! I would love to win this because all the products are awesome. I especially love the 4moms breeze since I have a dislocated shoulder and can use the Breeze with one hand. I would love to win these for my SIL who is expecting #2! I know that they'd love to have some new Charlie-approved gear to welcome the baby. This is amazing! We're expecting our first in September and all of these items would be put to such great use!! Such a generous give-away! I'd love to win this for several friends who are expecting/ have newborns. My husband is in school and I'm looking for a job right now! It would be great to win all of these items for when we start having kids! Great giveaway!!! Would love to win this because I have a four month and not enough gear to handle her hahah! 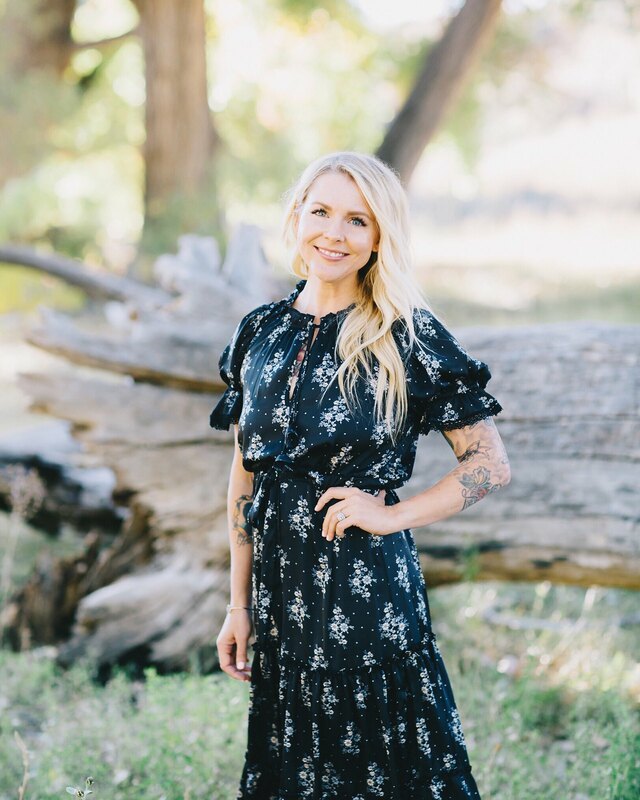 I would love to win these amazing prize package because every single item would make being a stay at home mom so much easier and enjoyable when baby number two comes around in the future! entered! would love this for our second who's due in 4 weeks!! This giveaway is amazing! Would love to win! This is such a fantastic giveaway! My husband and I have a 7 month old daughter and are hoping for baby #2 as soon as possible! We would love to have a big family so each of these items would come in handy and sustain through multiple kids! This would be an AWESOME gift for my sister in law who is expecting her first baby in November. This will be the first baby of the family so she needs all she can get. I would love to win for my newborn son! What a fun giveaway! Baby #2 due in October would love this! Love this giveway! I'd love to win because we are expecting our first this October and this giveaway would help us prepare for our little one! Hi, I just wanted to say that I love reading your blog! Charlie and my son, Sebastian, are very close in age so its fun to see them learning and growing together (but not)... ;) Anyways, I would LOVE to win this package - such awesome items! oh man! what an amazing giveaway! First of all, hippo birdies to Charlie! One year flew by! Secondly, we are about to have our third little boy and a lot of our big ticket items are expired now. Winning this sure would help out on that front! Would L♡VE to win...such an awesome giveaway! I absolutely love these products. Praying that I win!!!!! All of these items would be a dream to win! Baby wearing looks amazing but we haven't quite figured it out. I would love to try again with the Solly wrap. Baby MJ and I would love these items! Would love to win this for our baby boy! This is such an awesome giveaway! I would love to win all of these incredible items for my baby due 1.10.15!!! Would love to win! We're expecting our first in two days!!! This is such a generous and sweet giveaway. We are expecting baby #2 to make his appearance in September. I would love to win this to use with him. Having two little ones, you need all the help you can get. The Ergo carriers give you extra hands and the 4moms Breeze give you someplace safe to put the baby while big brother plays. It's always exciting to welcome a new little one into the world but can be so overwhelming. we are expecting our first little one next month and would love these items! fingers crossed for our first little one due next month! We would love to win because we are currently trying for #1...we've been trying for over 2 years and being in your twenties and being diagnosed with unexplained infertility isn't awesome! Although not a dream way of conceiving, we are working with doctors and looking at options! We would love to give our baby, worked and prayed so hard for, some awesome new things :) please oh please!!! This is an amazing giveaway! Thank you! I would appreciate this so much for my son! This first-time mom needs all the help she can get! I am due in 5 weeks and havealways wanted an orbit stroller.. To win this would be a dream come true! Ahhmazing giveaway! Your family is too cute! We have a little boy on the way and have yet to buy anything for him. This giveaway would be such perfect timing for our little family! Wow! What a great bunch of stuff! It's like you went through our Amazon wishlist! We're expecting our first little monkey in January and as I'm sure all of you can relate, trying to make ends meet and prepare for this wonderful new life. We'd love to win this, it would help us immensely and allow us to breathe a little easier. Thanks for the opportunity and good luck to everyone!!! With my 3rd son arriving this November, I would LOVE to treat him and myself to some of this amazing gear! It would be a dream! We are delivering our first little surprise bundle of joy in one week! What a generous and beautiful giveaway! Thank you! Today is my due date! Fingers crossed! Wow! What a great care package this would be... It's like someone just saw our Amazon wishlist and Pinterest and put it all together. We're expecting our first little one in January and this would help us breather a little easier and allow us to focus that much more on diapers... never enough diapers. Thanks for the opportunity and good luck everyone!! these are all great products! my bestie is currently pregnant and due in february and if i won, i'd be passing along all of this to her! such a great opportunity. Like someone else said, it really does look like you took this straight from our Amazon wishlist! What a fantastic giveaway! This would be a crazy good help for our 2nd little due in September! Ergobaby has been amazing in the past and everything else looks so dreamy! I would love to win for baby #3 and to share some things with my SIL who's expecting her first baby! I pine for that stroller in a sick way. Haha! These are all products I'd love to try! I would love to win because I am due with my second exactly one month from today! oh my gosh this is a huge giveaway! awesome!!!! I am in love with that stroller for number two coming! This giveaway is amazeballs! I would LOVE to add this awesome list for my little one! Good luck everyone! I was just saying I wish we would have gotten the orbit system! Everything in this giveaway is amazing!! Due in January with my second and could definitely use all of it!! I would love this! We are trying to adopt a second baby, and this would be so useful! Oh man! I could use most everything with my little guy right now and it'd for sure come in handy when we have another! Amazing Giveaway - All of of baby must haves for my little girl coming in September!